Allan Iverson is a Babolat sales representative for all of Southern California. He was awarded the 2014 Tennis Industry Sales Rep of the Year. 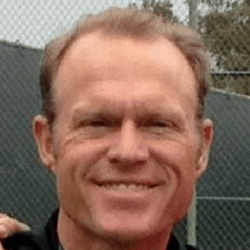 Allan is a USPTA P-1 with more than two decades of teaching experience. In 2012, Iverson was Babolat’s National Salesperson of the Year. Countless stories of his passion and dedication for the sport have been recounted by many of his peers. Allan played number one at his high school and all 4 years at Christ College of Irvine.